Jamaica Observer:- KINGSTOWN, St Vincent (CMC) – The St Vincent and the Grenadines Government says it remains opposed to the controversial citizenship by investment programme (CIP) as a means of luring foreign investors to the island. 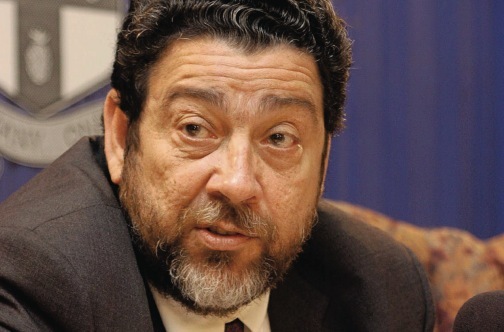 Prime Minister Dr Ralph Gonsalves, addressing the launch of the Chamber of Industry and Commerce Finance Fair Monday night, said that his administration remains opposed to the CIP, which he described as a “race to the bottom”. Several Caribbean countries, including Antigua and Barbuda, St Kitts-Nevis and Dominica, have established CIPs through which foreign investors are given citizenship in return for making a significant investment in the socio-economic development of these countries. Gonsalves told the private sector that he was re-affirming his Unity Labour Party (ULP) position on the issue and that his government has no intention of having a citizenship by investment programme. “That is to say, the selling of citizenship and passports,” he said. “The five other independent countries of the OECS have gone that way. I wish them well. We just simply have a different perspective on it, because, in one jurisdiction, which has been in the forefront, a lot of problems occurring,” he said in an apparent reference to St Kitts and Nevis, which he did not name. “You have population of 50,000 and you have 12,000 economic citizens,” Gonsalves added. Prime Minister Gonsalves said that the space is narrowing for economic citizenship programmes, adding, “and there is a race to the bottom in all of them and there are a lot of good products in this area in other countries where people from China and the Middle East are rushing to — Austria, Portugal, but, of course, they have different type of — better run regimes for these types of things. “Notice what I say, there is a race to the bottom. We are not involved in that,” said Gonsalves, who has in the past said that there are national security challenges that come with CIPs. “We start front the simple proposition that the two most important books in a house, in any house in St Vincent and the Grenadines, are the Bible and the passport. So we have a good quality passport and we have spent a lot of money on it, upgrading it, modernising it,” he said. Gonsalves said there are well-known factors that predispose investors to come here, including the legal and constitutional framework, political stability, a stable currency, moderate to low inflation, the availability of basic services such as reliable electricity at reasonable cost, water and telephone, and an efficient and predictable public sector. He said that factors that induce investors to want to put their money in St Vincent and the Grenadines include concessions and no punitive rates of taxation. Gonsalves said that data from the Caribbean and Latin America show that as a percentage of gross domestic product, St Vincent and the Grenadines has among the highest rates of foreign direct investment. Gonsalves, who is also minister of finance, said that his administration has reduced company tax from 40 to 32.5 per cent with a target of 25 per cent, but the modifications have been interrupted by the global economic crisis of 2008. He told the members of the private sector that there are still opportunities within the international financial services sector.